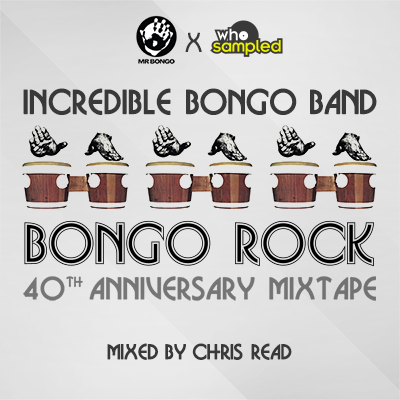 As part of my ongoing efforts to get all of my various guest mixes up on my Mixcloud page, I recently added this mix I put together for WhoSampled and Mr Bongo a few months back in celebration of the 40th Anniversary of Incredible Bongo Band’s classic ‘Bongo Rock’ LP. A collector of hip hop, funk, soul, boogie and related beats and jazz based music since the late eighties. Came to prominence as a club DJ through involvement in Substance (one of the UK's largest and longest running hip hop and funk nights) and a 2 year spell as mix DJ on BBC Radio 1Xtra. In recent years a steady output of high profile mix albums has allowed me to DJ worldwide. Currently compiling a series of mix albums for the BBE label and producing an album for BBC New Urban Music Bursary award winning 7 piece jazz / soul outfit 'Maylight'. This entry was posted in News and tagged Chris Read, Funk, Hip Hop, Incredible Bongo Band, Mixcloud, Mixtape, Mr Bongo, Releases, WhoSampled. Bookmark the permalink.